Deneris, that&#39;s a really good idea. freecloud, I urge you to consider the other Chaos leader&#39;s again. The DP may have advantages, but you can get a lot of mileage from the Lord & Sorcerer. I was thinking of using the new terminator lord kit and converting the axe to look like the crozius. 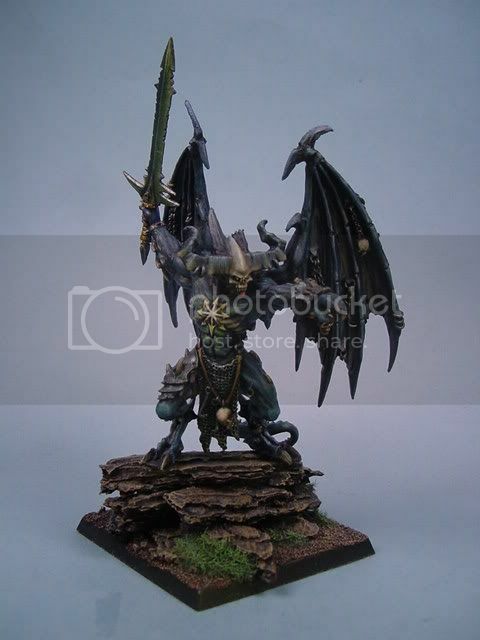 The Belakor model does look cool, but I&#39;d use that for a Daemon Prince or Greater Daemon, not the apostle.